In celebration of World Poetry Day on Thursday 21st March 2019, I read a poem in Spanish and spoke about the power of languages! 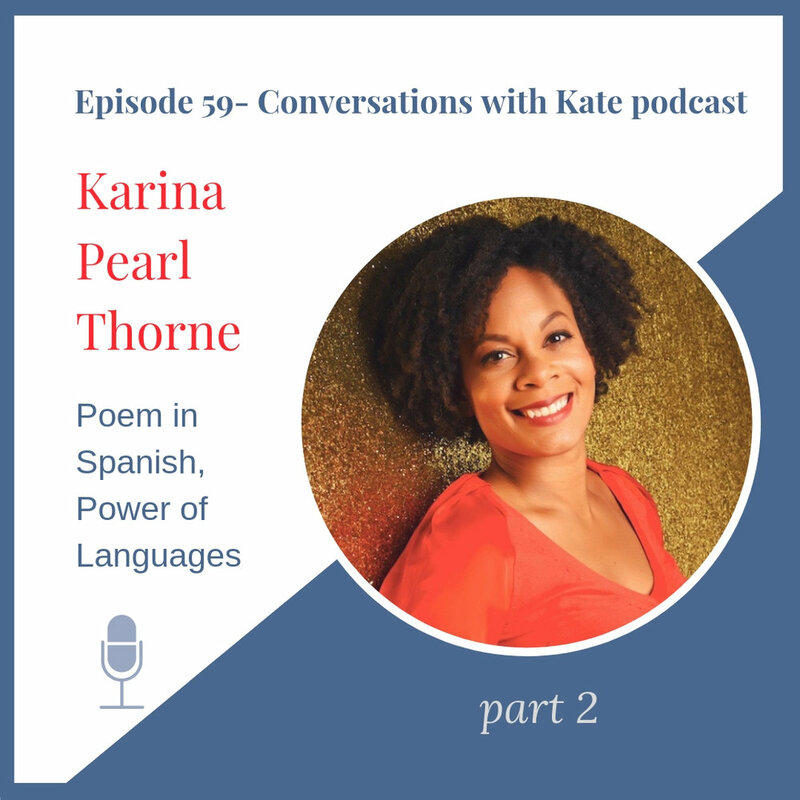 If you want to hear my first poem in Spanish, and listen to my reasons for learning languages, then dive into this 10-minute podcast. Conversations with Kate is a podcast that engages people in worthwhile conversations about things that matter. Kate also leads online sessions which helps English language learners to make connections and improve their communication skills. Members of Kate’s Patreon community, https://www.patreon.com/conversationswithkate, have access to all of the podcast transcripts and lesson guides. People who sign up for her monthly updates and become subscribers on her website, conversationswithkate.net, have access to 2-3 lesson guides and transcripts per month. Finally, Kate has generously provided you with a copy of the transcript and lesson guide here: Enjoy!